The first thing you notice about this beer is that it’s IN A CAN. Surely no good beers come in a can these days. Look at the shelves of any respectable beer merchant and it’s all bottles and bottles. No cans. 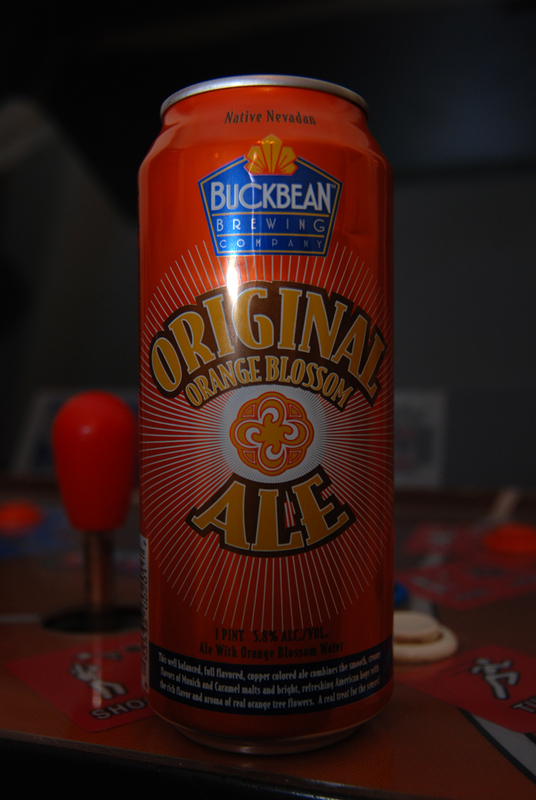 Cans have connotations of nasty, cheap lager, not quality, hand-crafted ales. Yet one craft brewery in Oregon is making the stand for the can. Why, well there reasons are that cans protect the beer from light and oxidation – thus keeping a better quality of product when it comes out of the can and hits your tongue. So far so valid. They also claim that the can is less easy to break than glass (more on that later) and is lighter and more likely to be allowed in beaches, sports arenas and the likes, where bottles have long been banned. That claim of cans being harder to break is disputable. This blog post has come some seven days later than it should have done. Why? Well because the first 355ml of Caldera Pale Ale ended up all over the street outside my house when my box of beers fell to the floor, resulting in four breakages from the 10 beers bought. Surprisingly enough, the can was one of the victims. We didn’t see that coming. Turns out our pavement had a bit of a treat with this one. While the can makes this beer look more like some cheap fruity soft drink than a quality pale ale, the flavour tells you something quite different. On pouring the beer looks fantastically golden and clouded, with a bitter hoppy nose with hints of citrus. The can suggests that you “keep [it] cool, just like you”. I’m not so sure. While serving it nice and cool means it’s thoroughly refreshing, with a sharp, bitter, crisp front and an intriguing floral (sagey perhaps?) flavour comes through, it’s only as the drink gains some heat that it shows off its real class, with a rich, warm malty flavour hitting in at the end – the kind of strength you’d expect from a 5.5% ale. The old adage “never judge a book by its cover” comes into good use here. This can may not look like much – it looks pretty crap, if we’re honest, but the beer inside puts a number of more well-known American Pale Ales to shame. By far the best beer I’ve ever had out of a can. 355ml, 5.5%, for more info see www.calderabrewing.com. This beer is available at Beer Ritz.